Garcia sent a bragging text message to a woman of a screen shot of the $15,000 bank deposit from “Christopher Brown” into his account. “Look who put money my account,” Garcia wrote. Other text messages showed Garcia allegedly instructing one of his guys to deliver marijuana to Lil Wayne, with Garcia saying “I’ll shoot u some trees” and then adding “It’s for Wayne.” Weirdly, though, the frankness of that particular conversation almost could’ve helped the defense’s argument, which was basically that Garcia is all talk and just pretended to be a hip-hop drug dealer so he could look cool on Instagram. Garcia’s lawyer even referred to him as a “27-year-old schmuck” at one point, but it didn’t end up doing him any good. 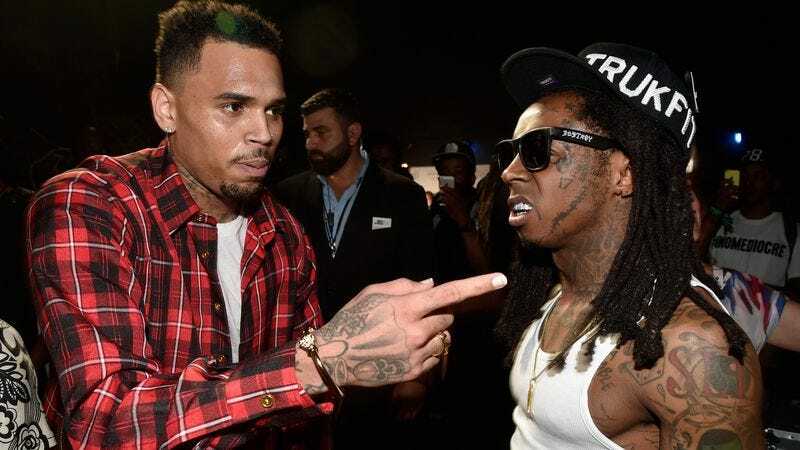 The Chris Brown and Lil Wayne connections are still part of an open investigation, and Garcia is facing life in prison as part of his conviction. His sentencing will happen in June.